I can't pour a cup without hearing the lyrics to Black Coffee in my head, only with "iced" inserted for "black." add 2 to 2 1/2 cups of water and leave it alone over night. Press it the next day and pour the concentrate into a mason jar and refrigerate. So, why the wait? I couldn't remember to do it the night before. That is, until I tasted it. Now, it's a priority. I mean, it is that much better. I can pour a little into a glass and fill it the rest of the way with cold water (about a 1/5 ratio) and only require a spoon of half and half. It's so mild, no sweetener is necessary. 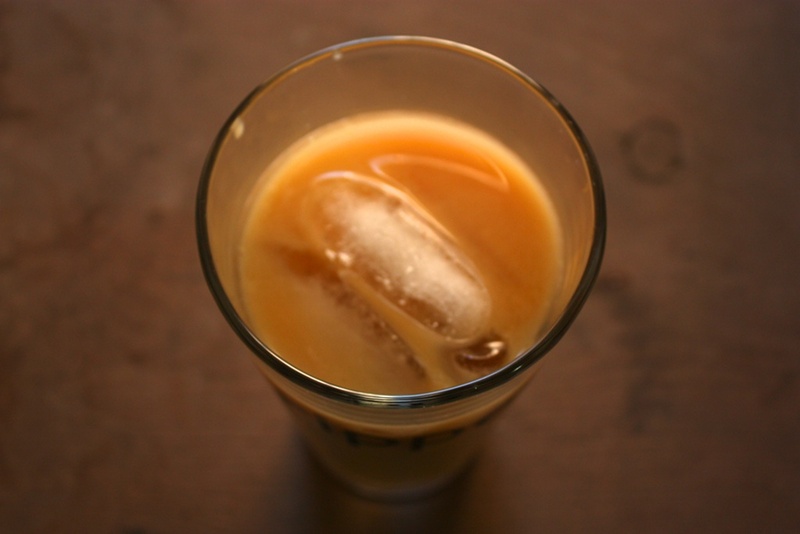 This article about the inventor of the Toddy cold brew system explains how heating the grounds releases 3 to 4 times more acids into the coffee. This bitter taste is avoided by brewing it longer in cool water. Most recommend 12 hours, but I've done it in 7 and thought it tasted fine. It doesn't require complete, scientific exactness, or the finest beans, or a Toddy. I'd like one, but I find my press works just as well. And there's always the good, old mason jar and sieve.